Bill Cooper and A Don't Blink Guillotine | MMA Fighting Events Videos Techniques UFC Fight Picks and News. 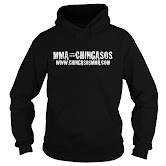 Everyone that knows MMA knows that you need a solid ground game to be able to throw chingasos in the cage. Bill “The Grill” Cooper definitely has more than a solid ground game, as he has made a name for himself in the Brazilian Jiu Jitsu and submission grappling worlds. The Grill has won numerous Grapplers Quest titles, and has competed in the UFC Fan Expo Superfight against the likes of Hermes Franca and Joe “Daddy” Stevenson. Not only did he take on both of those UFC veterans, he beat them both. Bill Cooper might be “The Grill”, but he is also the real deal. And, so are The Grapplers Quest grappling tournaments. At Grapplers Quest, you will find nothing less than serious grapplers with great skills. Nevertheless, take a look at how fast The Grill was able to get the guillotine choke on one of his opponents. Will Jake Shields Dominate in the UFC? Is The Armbar Useful in MMA?